Genuine OEM Sharp Toner Cartridge, Cyan, 10,000 page yield. Sharp part number: MX-23NTCA, MX-23NT-CA, MX23NTCA. Color Laser Toner Cartridge compatible with Sharp MX-2310U, MX-2318UC, MX-2616N, MX-3111U, MX-3116N. Compatible Sharp Toner Cartridge, Cyan, 10,000 page yield. Replaces Sharp part number: MX-23NTCA, MX-23NT-CA, MX23NTCA. Color Laser Toner Cartridge compatible with Sharp MX-2310U, MX-2318UC, MX-2616N, MX-3111U, MX-3116N. Compatible Sharp Toner Cartridge, Magenta, 10,000 page yield. Replaces Sharp part number: MX-23NTMA, MX-23NT-MA, MX23NTMA. Color Laser Toner Cartridge compatible with Sharp MX-2310U, MX-2318UC, MX-2616N, MX-3111U, MX-3116N. Compatible Sharp Toner Cartridge, Yellow, 10,000 page yield. Replaces Sharp part number: MX-23NTYA, MX-23NT-YA, MX23NTYA. Color Laser Toner Cartridge compatible with Sharp MX-2310U, MX-2318UC, MX-2616N, MX-3111U, MX-3116N. Compatible Sharp Toner Cartridge, Black, 18,000 page yield. Replaces Sharp part number: MX-23NTBA, MX-23NT-BA, MX23NTBA. 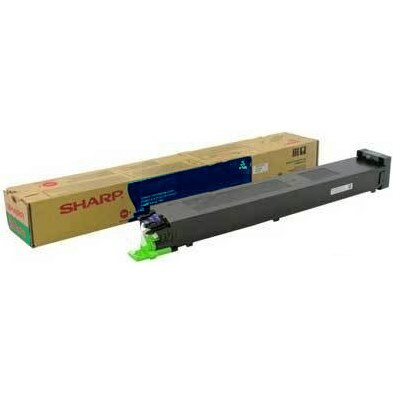 Laser Toner Cartridge compatible with Sharp MX-2310U, MX-2318UC, MX-2616N, MX-3111U, MX-3116N.